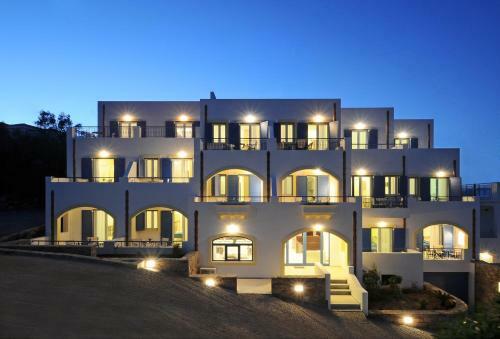 The 3-star Anatoli is located in Agia Pelagia, Kythira. Anatoli offers to its guests garden	and bar. The property accommodates visitors in studio, family room, quadruple room, double room, 3 bedroom apartment, 1 bedroom apartment, honeymoon suite, apartment and other might be available upon request. The rooms provide sea view, garden view and mountain view. Amenities of the rooms include a/c, tv, satellite channels, fridge and more. The kitchen is equipped with kitchen utensils, toaster, hot plates and fridge. Anatoli does not accept pets.